A delicious, hearty meal with NO meat. 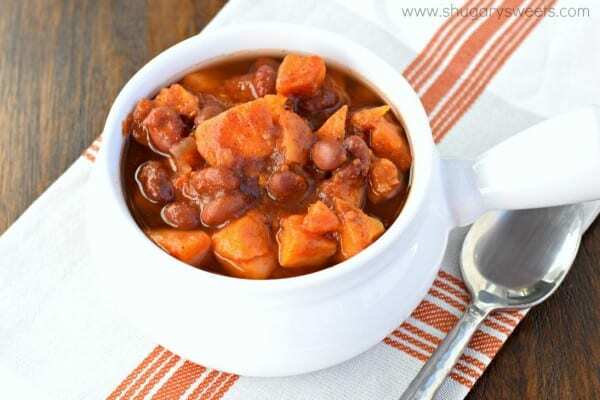 This vegan Smoky Sweet Potato Chili is the perfect comfort food! I told you earlier this week that I have a VEGAN dinner recipe. I know! Who am I? As part of our “healthy eating 2015” New Year goal, our family is cutting back on meat consumption and eating more vegetarian meals. 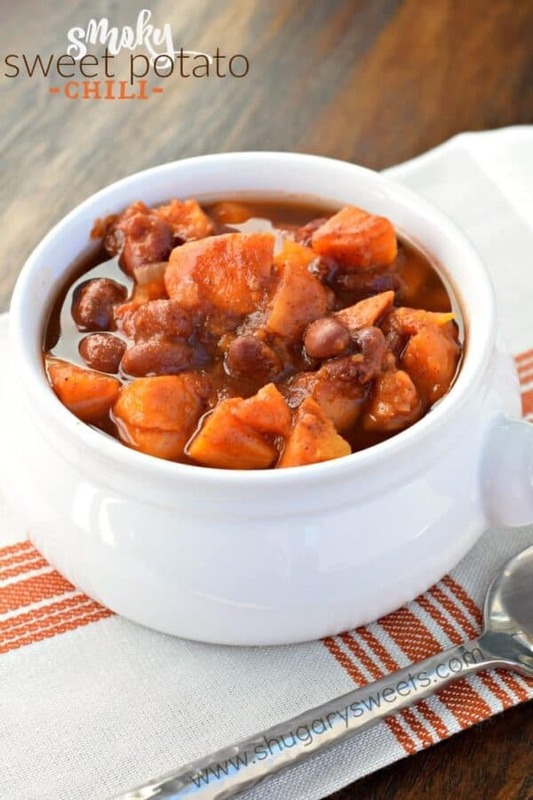 I found this Smoky Sweet Potato Chili recipe over on the Forks over Knives website. With a few alterations (to make this easier to make), this dinner is the perfect weeknight meal. I also made mine in the slow cooker, which we use regularly for our busy weeknight meals! Me. I eat anything and everything. Seriously, I may be one of the least picky eaters you’ll ever meet. I can count on one hand the foods I dislike. Husband. PICKY. Hates condiments and anything CREAMY (mayo, sour cream, cream cheese). Dislikes beans. Prefers meat, potato, veggie for meals. 17 yr old daughter. Loves most food. Dislikes spicy food. 13 yr old daughter. HATES meat. Dislikes condiments. Dislikes beans. That said, everyone ate this. Husband and I loved it (he preferred there be a little more “juice”). Oldest daughter enjoyed it. Middle daughter said it was good (ate her whole bowl). And youngest ate hers gone too. INCLUDING THE BEANS. I should also mention, my kids don’t like sweet potatoes at Thanksgiving. So this meal already had a few strikes against it…but when everything was combined, it was delicious. 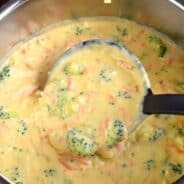 This is a 5 star recipe in our book, and will be made again and again. Butternut Squash would be a great substitute for the Sweet Potato. And adding in black beans could be amazing too! In a large crockpot (slow cooker) add all the ingredients. Stir and cover. Cook on low heat for 6-8 hours, until sweet potatoes are tender. ENJOY! 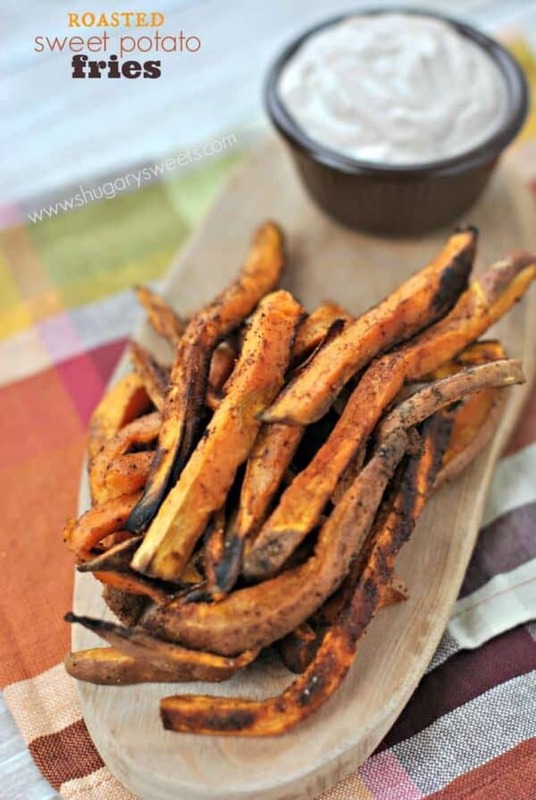 Roasted Sweet Potato Fries: baked AND delicious. Don’t forget the sweet cinnamon dip. 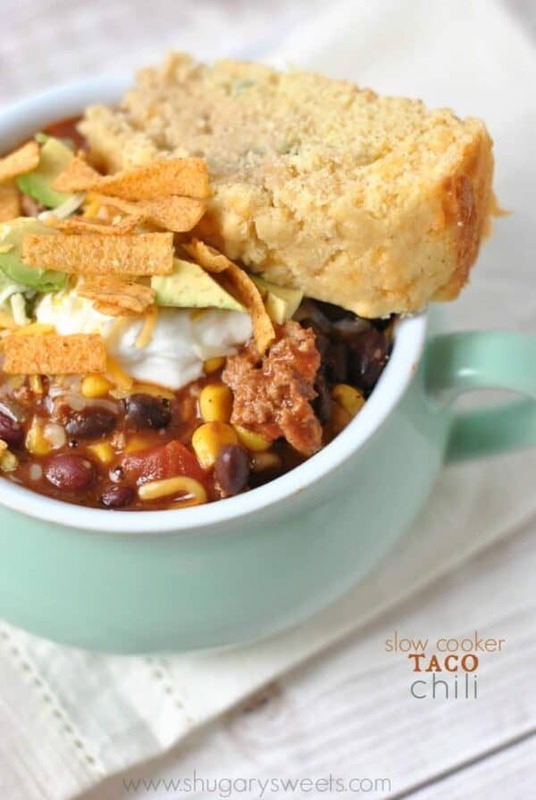 Slow Cooker Chicken Taco Chili: easy enough for a weeknight, comforting enough for a Sunday dinner! 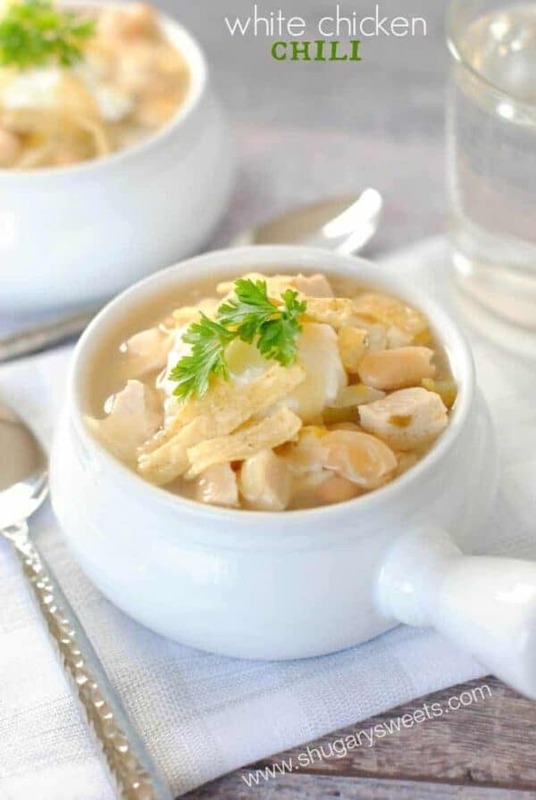 White Chicken Chili: this is my healthy version of chili, and I think you’re going to LOVE it! Beef Taco Chili: when you don’t care about calories, and you just want a comforting bowl of chili. Don’t forget the Jalapeno Corn bread too! 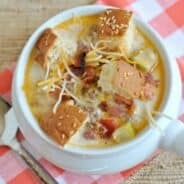 Love crockpot recipes! And sweet potatoes. This looks fabulous AND healthy. My husband and youngest son are both picky eaters. Drives me crazy. My older son and I….not picky. I may just make this for the two of us! This sounds amazing! I love sweet potatoes! 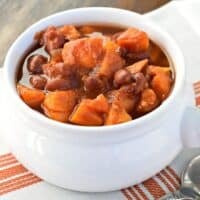 I never would have thought to make chili with sweet potatoes! What a great idea. Love the smokey flavor! This chili looks delicious! I love the smokey flavors paired with the sweet potatoes. This would make a great dinner for meatless Monday! I’m loving sweet potatoes right now. Especially since they’re suppose to be so much better for you than regular potatoes. I’m also trying to cut back on eating meat a few times a week, so this sounds great on so many levels! I’m also not a fan of beans but this looks amazing! 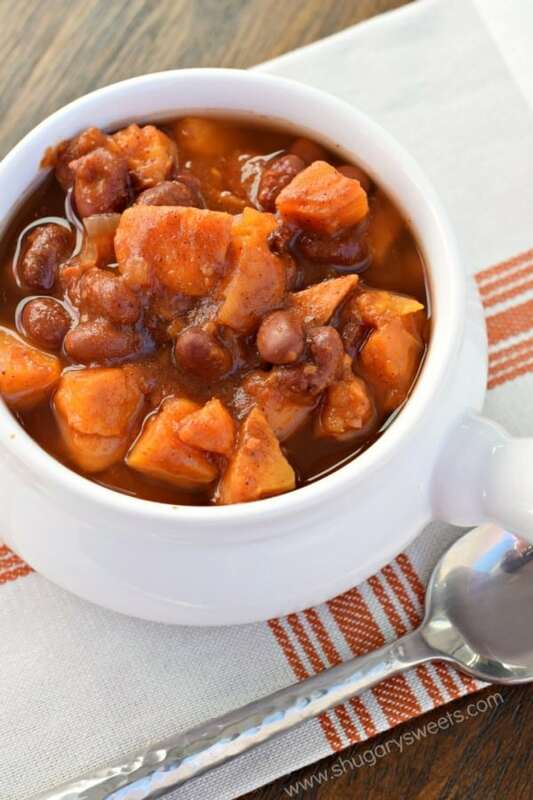 The sweet potatoes definitely make this swoon-worthy! I’m absolutely drooling over your chili recipes. This sweet potato version looks delicious. I’m going to have to give it a try during Lent! Vegan chili is one of my favorite winter dinners. Though I try to eat meat or fish most nights, a good vegan meal can be very satisfying. 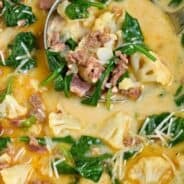 As soon as I saw this recipe, I knew I was going to love it! We made it on Friday night, and it’s seriously my newest favorite food on the planet! 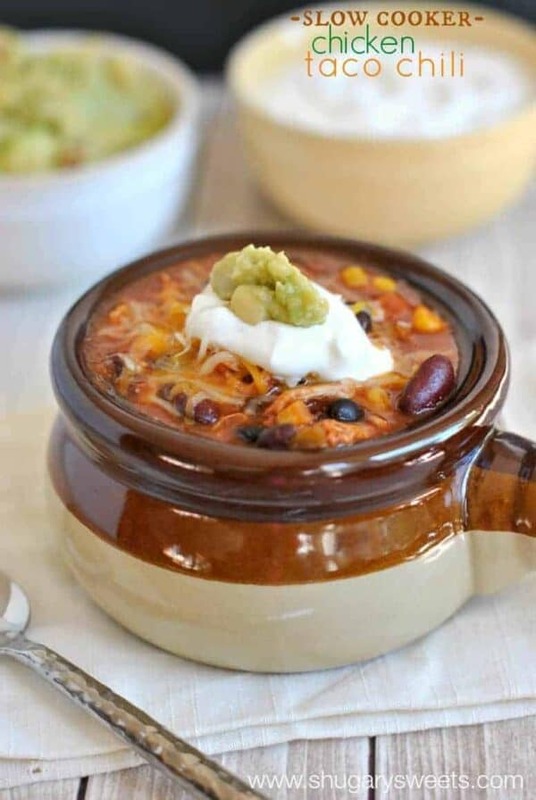 Thanks for sharing your recipes, and especially for this new winner winner chili dinner! Hi Brenda, I’m so glad you love it!! Stay tuned, because I’ve got some more meatless meals coming to the blog soon!